A couple were left with a mountain of cardboard in their living room after a supermarket delivered their new dinner set in 48 SEPARATE boxes. Joanne and Billy Murphy were stunned when each plate, bowl and mug in the 24-piece set they ordered online from Tesco showed up in their own individual boxes, which were then inside even bigger boxes. 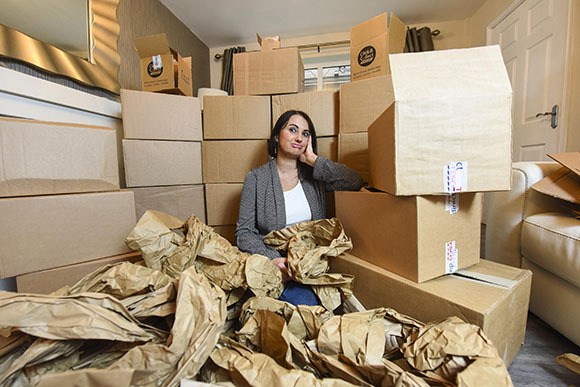 Already unimpressed at having waited 14 days for the goods to arrive, Joanna took to social media to vent her fury as despite the extreme packaging, five items still broke during delivery.